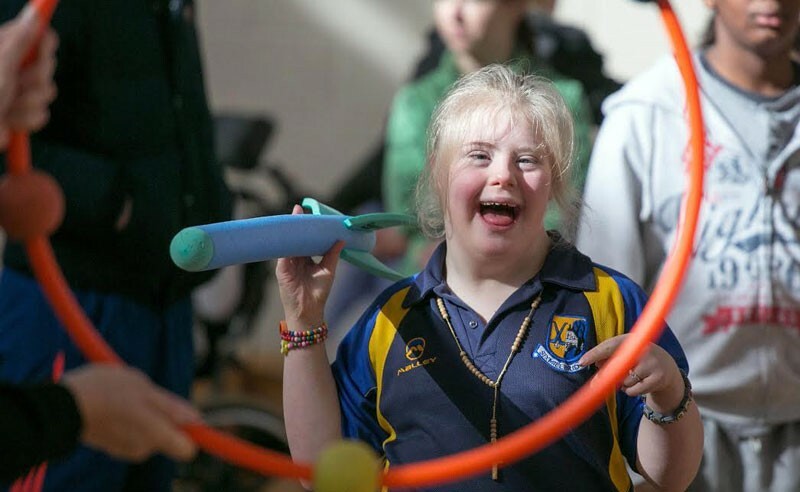 Coaches, sports leaders, teachers, special needs assistants (SNAs), third level students, development officers, volunteers, parents or anyone who has an interest in making their sport accessible and inclusive for people with disabilities. As part of our first club disability project, we coordinated the delivery of Cara Disability Inclusion Training for 50 of our coaches. The training provided in depth knowledge of a wide variety of disabilities both theoretically and practically. The coaches felt more comfortable and confident to facilitate a class specifically working with people with a disability and generally within a mixed ability group. The training made me realize that despite the huge differences in context, barriers to inclusion in day-to-day activities and some prejudices towards persons with a disability seemed no different here and there. But also part of the solution is no different. The power and language of sport and play is universal. The training helped me to understand how sport and play can be a very practical tool in promoting inclusion, anywhere in the world! Our team had the hard skills to deliver the training but it was our soft skills and our lack of knowledge and awareness of dealing with people who had an impairment or disability that prompted us to do the Cara Disability Inclusion training. It definitely gave our team the confidence to deliver an inclusive indoor climbing programme which was enjoyed but our clients and by instructors delivering the programme. The training created a great awareness of how we should communicate with people that have a wide variety of disabilities. The variety of attendees from different backgrounds really helped me, we learnt from each other’s experiences and needs. The training was undertaken in conjunction with the IRFU’s pilot Disability TAG Rugby initiative in various areas around Ireland and our staff involved in the scheme to date have found the Cara Disability Inclusion Training to be invaluable in their work in this area.